Who does not know them, the gigantic statues of Isildur and Anárion from “The Lord of the Rings”, which rise to the left and right of the river Anduin in a rocky gorge into the sky. 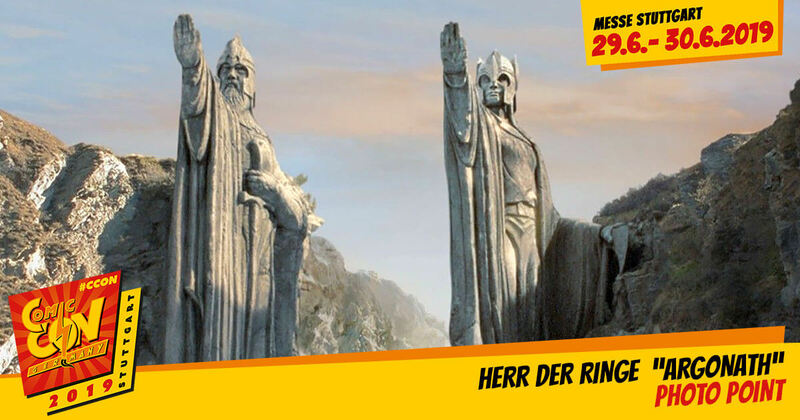 And now, on the CCON | COMIC CON GERMANY, you can become one of the legendary kings carved in stone here. The Argonath photo point catapults you directly into this impressive scenery.